Offering you a complete choice of products which include uhmwpe rods, uhmwpe sheets and uhmwpe profiles. 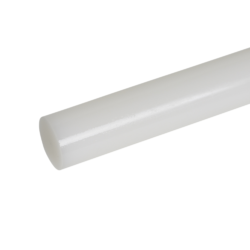 We are an illustrious entity, which is engaged in manufacturing, exporting and importing UHMWPE Rods. These products are available with us in natural, green & black colors and are FDA approved to be used in the food processing industry. For their various characteristics like low coefficient of friction, abrasion resistance, excellent impact strength and good chemical resistance, these products are demanded to be used in conveyor systems, food processing machines, paper and packaging industries. 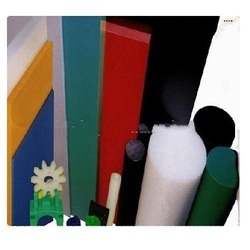 Being one of the celebrated names of the industry, we are involved in manufacturing UHMWPE Sheets. Made available at affordable costs, the proffered sheets are handed over in various sizes, so that each requirement of clients is fulfilled. Appreciated for its excellent abrasion resistance, good impact strength and low co-efficient of friction, the selection is widely welcomed. 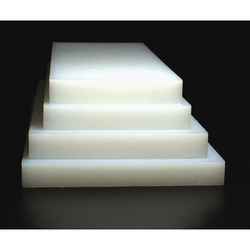 We are an illustrious entity, which is engaged in manufacturing, exporting and importing UHMWPE Profiles. These products are available with us in natural, green & black colors and are FDA approved to be used in the food processing industry. For their various characteristics like low coefficient of friction, abrasion resistance, excellent impact strength and good chemical resistance, these products are demanded to be used in conveyor systems, food processing machines, paper and packaging industries. Looking for UHMWPE Casted Components ?